This former worker's cottage rests in the owner's grounds in the town of Kidderminster and can sleep four people in two bedrooms. 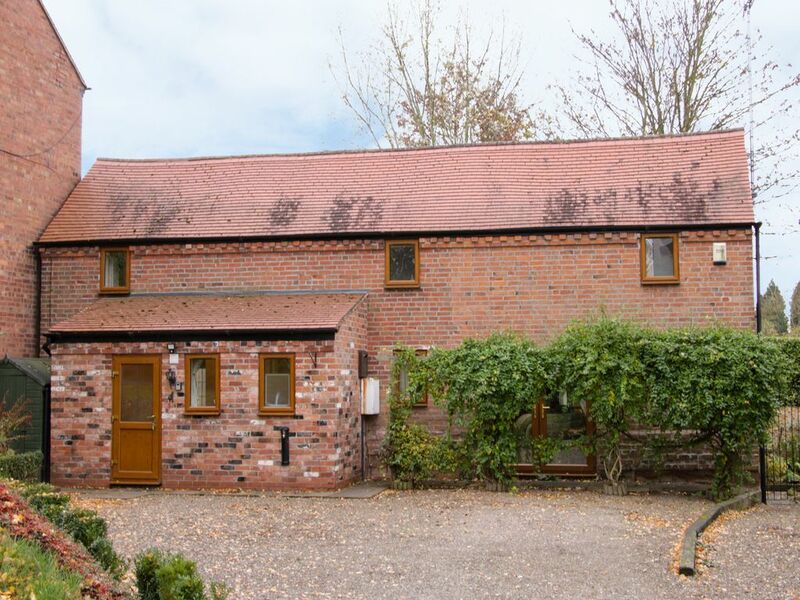 Cream Door Cottage is a detached, former worker's cottage set in the owner's grounds, within close proximity to Kidderminster and the city of Worcester. It boasts two bedrooms; a king-size double with en-suite shower room and a twin with en-suite shower room, sleeping four people in total. This is also a kitchen/diner and a sitting room with electric wood burner effect stove. To the exterior is ample off-road parking and a private, enclosed garden at the back with patio and furniture. Cream Door Cottage boasts a wonderful location for touring Worcestershire and Shropshire giving you the refreshing break you need! Amenities: Oil central heating with woodburning effect electric fire. Electric double oven and hob, microwave, fridge, dishwasher, coffee machine. Freeview TV, DVD, WiFi, selection of books, games and DVDs, Smart TV in main bedroom. Bluetooth. Fuel and power included in rent. Bed linen and towels inc in rent. Travel cot and high chair available. Ample off-road parking. Private, secluded garden, terrace and garden furniture at rear. Sorry, no dogs and no smoking. Shops 1.7 miles, pub a 6 minute walk. Note: This property is situated within the owners’ grounds, with a cattery on site. Note: Access is via a private drive off a bumpy unadopted track. Town: Sitting on the banks of the River Stour, in the Wyre Forest District of Worcestershire, is the bustling town of Kidderminster. It boasts a wide range of High Street amenities, as well as a popular shopping centre. In terms of attractions, it offers the Carpet Museum which teaches of the town's involvement in the carpet industry, there is also the Severn Valley Railway which runs between here and the Shropshire town of Bridgnorth. On the outskirts of the village is the West Midlands Safari Park, the city of Worcester with a wealth of things to see and do. And further afield is the city of Birmingham. Two bedrooms: 1 x king size bed, with en-suite shower room with double shower, basin and WC, 1 x twin beds with en-suite shower room with shower, basin and WC. Kitchen with dining area. Sitting room with a wood burning effect electric fire. Conservatory with additional seating. Oil central heating with woodburning effect electric fire. Electric double oven and hob, microwave, fridge, dishwasher, coffee machine. Freeview TV, DVD, WiFi, selection of books, games and DVDs, Smart TV in main bedroom. Bluetooth. Fuel and power included in rent. Bed linen and towels inc in rent. Travel cot and high chair available. Ample off-road parking. Private, secluded garden, terrace and garden furniture at rear. Sorry, no dogs and no smoking. Shops 1.7 miles, pub a 6 minute walk. Note: This property is situated within the owners’ grounds, with a cattery on site. Note: Access is via a private drive off a bumpy unadopted track.